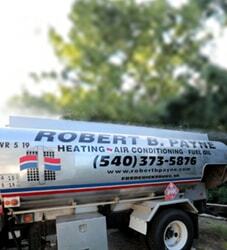 Troubleshooting of a Heating System | Robert B. Payne, Inc. When it comes to troubleshooting your personal heating system, it’s important to know, first, what the functions of your heating system should be. Most HVAC systems should do the following three things successfully: provide you and your loved ones with pollutant-free indoor air, effectively control indoor temperatures, and allow for the flow of outdoor air. Above all, your heating system should provide you with high-quality indoor air, in addition to keeping you safe and warm! But, what should you do if your heating system isn’t working properly? 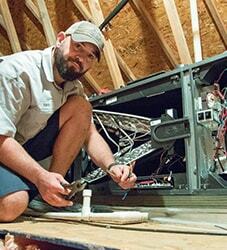 There are a few ways to troubleshoot your HVAC system. First, inspections are crucial – whether you’re performing routine inspections yourself, or letting a professional handle the job, it’s important to thoroughly inspect your system to be able to locate the source of the problem. Knowing the most common defects that plague most HVAC systems is also key. Some of these defects include: mechanical issues, thermostat malfunctions, and clogged-up filters. Of course, when it comes to troubleshooting for your heating system, the best thing to do is consult an HVAC professional – this is the only surefire way to solve the issue! Do you have further questions about troubleshooting your heating system? It’s time to get in touch with the skilled technicians here at Robert B. Payne, Inc. today! 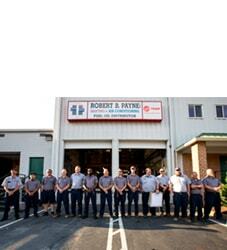 At Robert B. Payne, Inc. we’re dedicated to helping you maintain the air quality you need and deserve! We offer the best-of-the-best in air conditioning & heating services, repair, replacement, and maintenance – with our services, you can be sure that your household will stay at the optimum temperature, no matter the time of year. Want to schedule a consultation or ask us questions? We’re always happy to offer our assistance! Call us today at (540) 373-5876 or contact us via our online contact form.